I think most people who wear makeup these days aim to have some sort of glow, whether that be a healthy, natural highlight or a reflective silver sheen. Personally, I try to aim for a natural glow, but admittedly I do get carried away sometimes! The more glowing your skin is, the healthier and more youthful it looks. That’s the goal, right? Anyway, I decided to look into what else I could do to get my skin glowing besides using highlight. I’m all for the ‘fake it ‘til you make it’ but I was interested to see if I could bring out the natural glow in my skin as part of my skincare routine. I picked these up from Cult Beauty and I’ve been using these for just over a week now. These are more my first thoughts rather than a full review but I’m seeing a difference already. I’d heard so many good things about this so I wanted to see for myself if it was worth the hype. I actually really like it! I've been using it at night time before bed and sometimes in the morning before my moisturiser and makeup. The Glycolic acid in it helps to remove dead skin cells by exfoliating your skin, in the gentlest way possible. One reason I always put off exfoliating my face is because I don't like how harsh some exfoliators can be, so this is perfect for me. This is such a quick and easy step to add to your nighttime routine, even if you’re lazy with skin care like me. I’ve been using 2-3 drops of this on my cheeks and forehead before bed before my moisturiser and I feel like my skin is more hydrated and glowing when I wake up. I've been adding this in to my routine every 2 days to keep my skin feeling at it's best. I’m looking forward to trying more products from Pixi in future because I’m in love with these now! I’m all for skincare that doesn’t take up too much time, so these are a real winner for me. Let me know if you’ve tried any Pixi products - I’d love to know what to try next. I put off using exfoliators as well because like you, I hate using anything harsh on my face! I should try out the Glow Tonic. I love the glow tonic, i definitely need to try more from Pixi. I'm totally obsessed with Pixi right now, they're getting it so so right! Especially for skincare. Your photography is beautiful in this post! 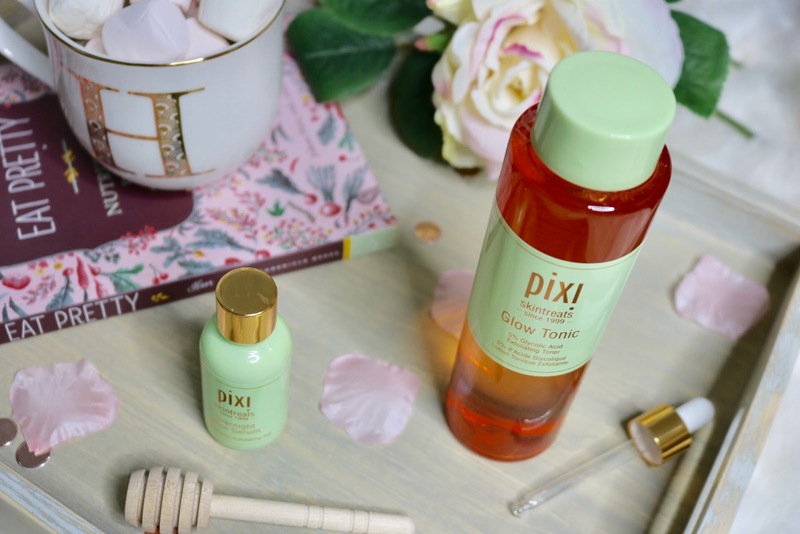 Pixi is killing it lately, the glow tonic is all everyone talks about at the moment (and for good reason). I have to get my hands on that night serum though because I haven't tried it yet. It sounds really nice! 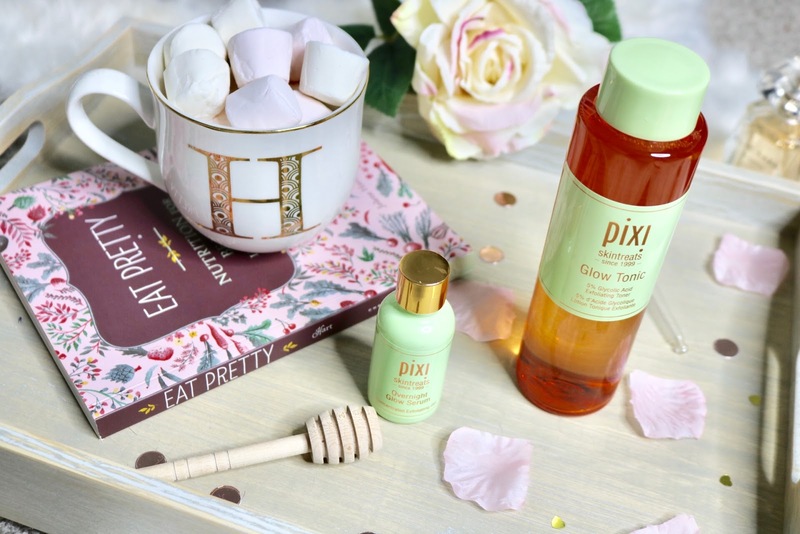 I'm desperate to try the Pixi Glow Tonic. I went to pick it up the other day and it was sold out, wish I paid attention to the serum now! Lovely review, I'll have to have a nosey next time I'm in town!